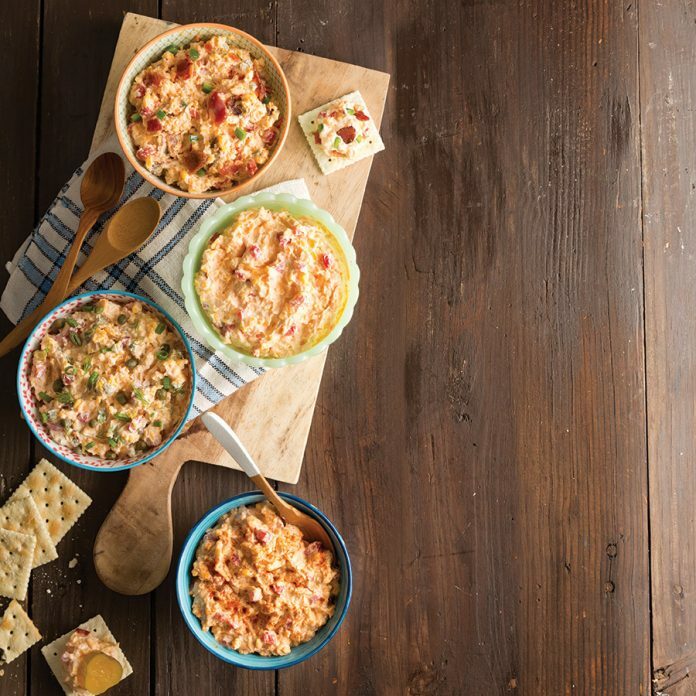 This Classic Pimiento Cheese is great on grilled cheese sandwiches, crackers, or served with crispy vegetables. 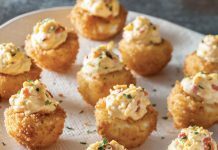 In a medium bowl, stir together Cheddar, cream cheese, pimientos, mayonnaise, salt, garlic powder, onion powder, and red pepper until well combined. Serve with crackers and pickles, if desired. 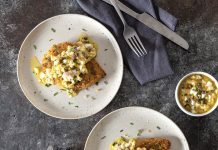 Find more great recipes like this one in Taste of the South‘s January/February 2017 issue! 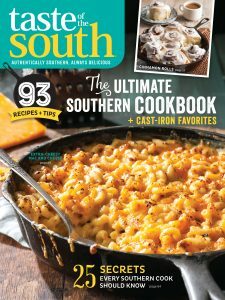 I loved the JAN/FEB 2017 edition and I would like the recipe for “Roasted Garlic-Chipotle Pimiento Cheese”. Hi Gigi! Thanks for reaching out about that recipe! 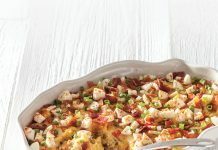 You can find it here: http://www.tasteofthesouthmagazine.com/roasted-garlic-chipotle-pimiento-cheese/. Hope you enjoy! Fire Marshall has declared no open cooking in dorms. Can you recommend any Microwave recipes for entrees. Have you heard of the InstantPot? It’s a 5 in 1 cooker. It might be worth checking out for this! They also have a whole InstantPot community with recipe sharing on Facebook. The microwave is great for steaming food-like vegetables. Unfortunately, though, we don’t have any microwave-exclusive recipes on our site.